Is your child experiencing difficulties in his or her speech pronunciation? Does he or she have challenges in their ability to listen? Have you noticed your child having problems with writing or reading? How can speech therapy help your children that has language delay? What are the symptons of dyslexia? Worry no more since you can get professional assistance by seeking the intervention of speech-language therapists (SLP), an expert who is likely to help your kid cope up with the speech complications, allowing him or her adapt their lives efficiently in the society. Simply put, Dyslexia refers to the disability in learning that makes it difficult for a child to write and read. In most cases, Dyslexia hinders proper spelling of some words, which might lead your kid to encounter difficulties in answering questions appropriately. The first thing worth remembering is that dyslexia is a condition and not a disease. In fact, dyslexia has no relationship with human intelligence. That means that kids with dyslexia are as smarter as their fellow peers. For one thing, dyslexia is a hereditary condition transferred from the parent to kid. It is the most common learning issue in kids, making them encounter difficulty in reading fluently. In extreme cases, dyslexia can lead to other complications in spelling, writing, math, and reading comprehension. Dyslexia makes your kid encounter reading difficulty irrespective of the teacher’s efforts. The kid tends to have some recurrent memory loss and often forget some pronunciations. Your kid might take time to learn specific terms and words. That can result in the mispronunciation of words and at times distortion of some vowels. Your kid might have trouble recognizing the spelling of letters. Such children always forget quickly, with a majority making spelling errors. Your child might have challenges to pronounce some words appropriately. While reading long paragraphs at the middle school level, the kid might re-read sentences and paragraphs. 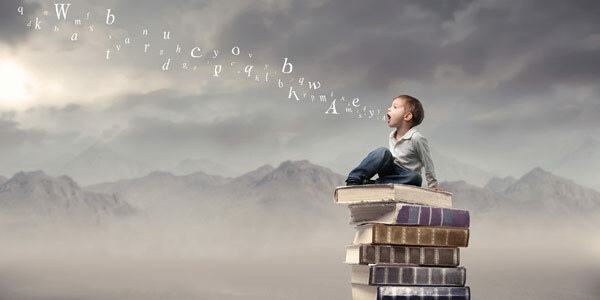 Your child might also skip over some small words often when reading aloud. Your kid might take a prolonged period to process information. Of course, that can make it challenging for your kid read and get the meaning of what they have learned. Your kid might have experienced a challenge processing what the eyes see. In most cases, that has led to reversing letters when writing or closing one eye when reading. Since dyslexia is a condition which can have far-reaching psychological turmoil, it is advisable to seek proper guidance, advice, and support to help in maintaining the resultant mental effects. In this regard, parents should consult specialists in psychology among them speech-language therapists (SLP). Kids with dyslexia should have continuous assessments to improve their performance when it comes to reading and writing. Subject your kid to psychological testing which involves tapping the kid’s sense including their sense of vision, hearing, and touch. What Roles Can Parents Play To Help Children With Dyslexia? Develop different ways to improve your child’s reading comprehension. Identify software and apps that can help your child with reading. Discover your child’s area of weaknesses in reading and writing. Apraxia is the neurodevelopment disorder which makes it hard for the kid to talk. People with apraxia finds it hard to articulate some words accurately. In most cases, Apraxia can be caused by brain damage, which can be as a result of stroke and some traumatic injuries. Apraxia can make your kid fail to perform specific tasks efficiently, for instance, their ability to blink. Apraxia can also affect other body parts such as the legs and arms which might fail to respond as required. Unnecessary pause between the syllables. To evaluate apraxia, the speech-language pathologists must examine and review your kid’s medical history. Individuals suffering apraxia should be subjected to rhythms and melodies to enhance the mastery of some words. Articulation is the sound produced by the parts of the body involved in the speech. These parts include; lips, tongue, teeth, jaws, the rear portion of the roof of the mouth, the palate and the alveolar ridge. Some aspects exist that can guide you to realize if your child has a language delay. At age two or three, your kid should have a proper grasp of his/her maternal language. The child should have an understanding of what he/she can express. Language delay refers to the situation where your child’s language develops slower than expected. Of course, that does not correspond to their age. Language delay often occurs when your kid has a hearing problem or when some parts of the brain have complications, for instance, cognitive impairment. There are two types of language delay:- receptive and expressive language delay. A responsive language delay occurs when your child has problems in understanding the language correctly whereas the latter happens when your kid experiences the problem of speech. The kid also tends to omit some crucial letter in a sentence. You can taste language delay by subjecting your kid to a thorough psychological examination. 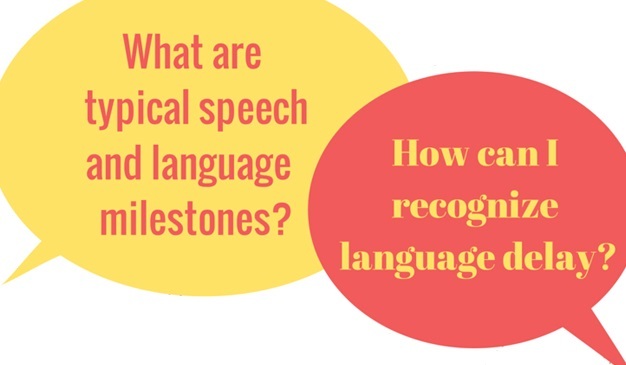 However, it is advisable to consult speech-language pathologists who carry out an intensive evaluation of the speech and the language development of your kid. The assessment aims to identify verbal and nonverbal expression of the kid. The specialist can also access other impairments like hearing and the ability to sense. Speech therapy employs the services of a professional speech therapist with diverse knowledge about phonological skills. Thus, if your kid has dyslexia, speech therapy can help reduce the trouble associated with understanding and pronunciation. In general, speech therapy helps to improve your kid’s overall phonological system, acting as a paramount intervention to reading and spelling challenges. Such kind of speech therapy helps children who have trouble with speech sounds due to phonological problems. Speech sound skills help to determine if your child has difficulty to understand speech. Refers to the pre-reading skills that help to determine how your child is doing with phonological awareness tasks like rhyming, segmenting, or blending. Such capabilities allow your kid to manipulate sounds and put them together to form words. If your child has trouble with such skills, they are likely to have difficulty with decoding and spelling words. We should expose our children to such therapy to increase their phonological awareness and improve their ability to participate in other related activities such as reading and spelling. Based on the results of the evaluation, we should administer therapy to address the areas with concerns about your child’s speech development. You may expose your kid to language tests, and if they score, it may be a sign of dyslexia. Your kid can make the most significant gain in language problems such as comprehension and spelling through such type of speech therapy. For more information for the occupational therapy services please contact Jacqueline Abela DeGiovanni on contact@handinhandmalta.com or 79474692 or Facebook. Thank you for all the information about different kinds of language disorders. My son has been having a hard time communicating and speaking. I thought that he might have a disorder. I’m glad that all of these disorders have some form of treatment. I will have to talk with a speech-language therapist and see if they can help my son cope. I like that you mentioned that speech therapy overall can help improve the phonological system and help to address and overcome reading and spelling challenges as well. My son has dyslexia, and my wife and I have been doing everything we can to help him. I think that trying out a speech therapist could be incredibly helpful to my son. I’ll be sure to look for one today.